We have an amazingly effective new technology for reducing the toxicity and stresses on your body that are caused by air pollution. Air pollution can cause all kinds of health symptoms and discomfort. Conventional methods cannot assess or treat this problem. 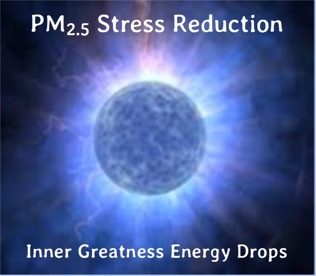 Those who have tried these Energy Drops report very significant air pollution symptom reduction. They experience less irritation of the eyes, nose, throat, and lungs. They report being able to breathe easier, less coughing and less constricted feelings in the lungs. They also say that they feel healthier, stronger and more energetic. The process is designed to both weaken the stresses caused by the harmful toxic particles in the air pollution and well as to strengthen your lungs and liver in order to help the body detoxify and self-heal.